In Hindustani 101 singing course, you’ve learnt the fundamental patterns that are set in Bilawal thaat. This course brings these patterns with svaras from Bhairavi thaat. 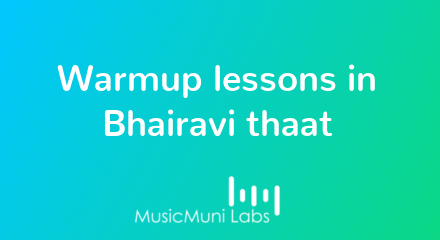 These exercises will help you get the hang of svaras of Bhairavi thaat and would ease learning of raags that fall under this thaat. These are highly recommended before taking any other course on raags of Bhairavi thaat going forward.